I’m a big fan of coconut oil myself, and I’ve written quite a lot about coconut oil over the years: here, here, here and here. Since you’ll likely have a jar of the stuff in the mail to you shortly, let’s spend some time revisiting what’s so great about this remarkable oil. The Paleo Girl One-Year Anniversary Giveaway ends on June 18. If over $1,700 worth of paleo books, paleo foods, and other paleo goodies interests you, and you have an Instragram account, be sure to enter by then. 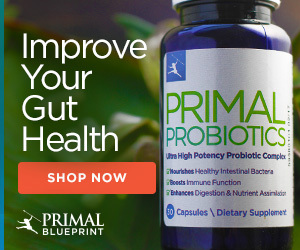 This is a guest post from Leslie Klenke, author of Paleo Girl, and our very own Marketing Manager here at Primal Nutrition, LLC. Don’t miss the Paleo Girl One-Year Anniversary Giveaway with over $1,700 worth of paleo prizes. Expires June 18. Hi, friends! Leslie here, and I’m amped to be back on the MDA blog again—this time I’m coming at ya with a delicious recipe I whipped up using Primal Kitchen™ Mayo! I’m a mayo fanatic. 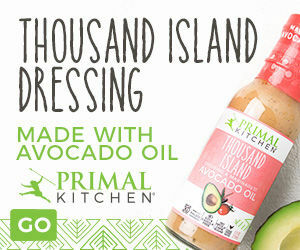 I used to feel gross for having an obsession with the condiment (because of the unhealthy industrial seed oils and the shame from mayo haters), but now that Primal Kitchen has launched the world’s first healthy mayo—made with pure avocado oil—I don’t have to feel like such a weirdo for dipping my fries in its creamy magic.